Are you looking for a fun (and lucrative!) way to express yourself and expand your acting portfolio? Voiceover acting is an ever-growing field, and opportunities abound if you know where to start. Here are eight great teachers (and 2014 Backstage Readers’ Choice finalists) to help launch your voiceover career! Bicoastal actor-producer-teacher Anna Garduno leads these Los Angeles- and New York–based classes, coaching voiceover actors on commercials, animation, promos, and narration. In addition to regular classes, students can work with Garduno one-on-one to create and produce top-quality voiceover demos. Actor Mary Workman sits on the faculty of New York’s the Acting Studio, leading voiceover, scene study, and monologue classes. In addition to working with students in a classroom setting, Workman coaches clients on voiceover, dialects, and accent correction. With a successful acting career and over 20 years of teaching experience, Workman leads students to immediate and lasting work in the world of voiceovers. This NYC-based voiceover artist and teacher has worked on hundreds of commercials, games, animated films, and documentaries. She teaches her technique in classes such as Voice Acting in Games and in private lessons. Melanie Ehrlich also owns and directs the LTM Audio Players Troupe, performing live audio plays for audiences all over New York. John Pallotta’s hands-on acting classes bring actors to an on-set location, teaching craft and practical skills side by side. Check out his NYC studio for a variety of classes including On-Camera Personalization, One on One With John, and voiceover coaching. With years of experience in casting—she helped cast and record 29 Saturday morning cartoons as talent coordinator at Hanna-Barbera Productions—and hundreds of projects on her own résumé as a performer, Lynnanne Zager is an invaluable resource for Los Angeles–based voiceover artists. Zager leads classes for kids and adults, teaching students of all ages about animation and video game dubbing, ADR, and more. This renowned L.A. voiceover coach, demo producer, and casting director works with clients one-on-one, in groups, in person, and over the phone. Progressive private sessions provide clients with training and experience, and generally culminate in the creation of a high-level, specifically branded audio demo. Wolfson also draws from her background as a former agent and her wide net of industry contacts to give clients ongoing career advice. Another successful voiceover talent turned teacher, L.A.’s Reed Rudy draws on his extensive experience to lead six-week voiceover intensives and ongoing advanced classes at his private studio. The small classes focus on technique and working with copy, and students receive audio recordings of all their work. 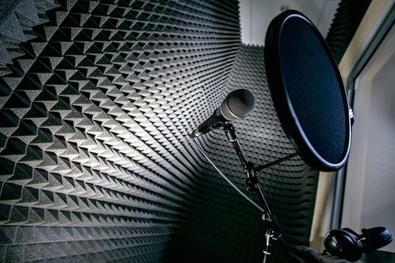 This Los Angeles-based casting and voiceover training company aims to be the “first and best resource center to the buyers and sellers of voices.” In addition to offering an arsenal of classes to actors of all ages, Kalmenson & Kalmenson casts projects out of its L.A. studios, and maintains a database of over 15,000 voiceover actors.